These are some of the error messages Sharepoint users come across when they try to edit/check out a document uploaded in Sharepoint using Microsoft Word. 'Edit Document' requires a Windows SharePoint Services-compatible application and Microsoft Internet Explorer 6.0 or greater. The document could not be opened for editing. A Microsoft SharePoint Foundation compatible application could not be found to edit the document. The below KB article should fix the issue. 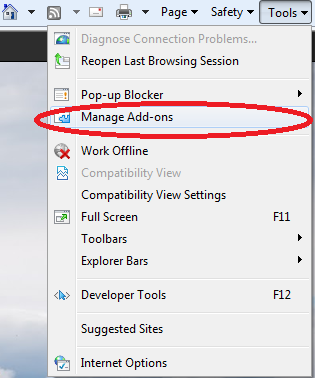 1) Run the Fix it (Microsoft Fix it 50667) solution ->Close All the browsers. 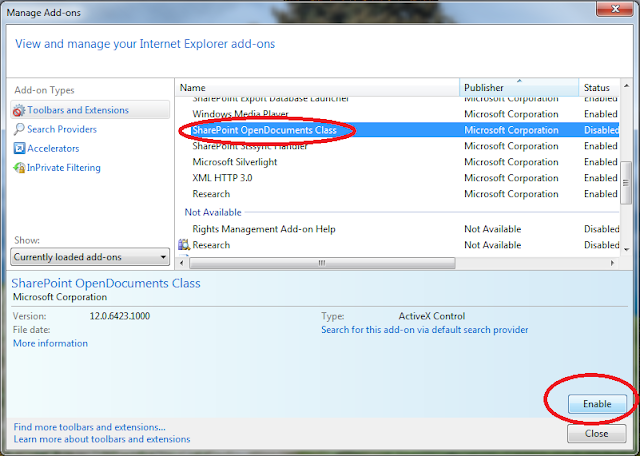 3) Go to Toolbars and Extensions -> Sharepoint OpenDocuments Class -> Enable this. Note For Office 2003 and Office 2007 an error occurs in steps 4 and 6. This error is benign and the appropriate modifications have occurred. The error message reads similarly to: "DllRegisterServer in C:\Program Files\Microsoft Office\OFFICE11OWSSUPP.DLL failed. Return code was: 0x80070716. 1) Click Start, and then click Run. 2) In the Open box, type cmd, and then click OK.
5) Click OK when you receive the message that states that the operation was successful. 7) Click OK when you receive the message that states that the operation was successful. 8) Type exit to exit Command Prompt.